IRCI has implemented since FY 2013 a research project titled Research for Safeguarding Intangible Cultural Heritage at the Verge of Extinction: Vietnamese ICH Element Dong Ho Woodblock Printing in collaboration with Vietnam Institute for Cultural and Arts Studies (VICAS). 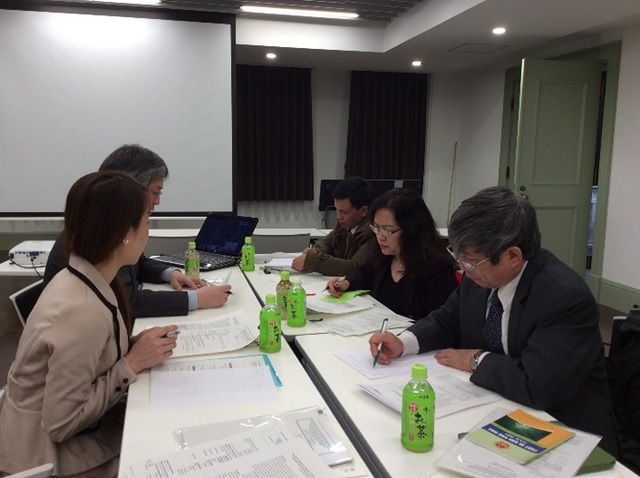 As an activity of the final year of the project, IRCI held an editorial meeting for publishing the final project report. Two VICAS researchers and a practitioner of Dong Ho woodblock printing visited Tokyo for this this intensive meeting held at Kuroda Memorial Hall and Tokyo National Museum on 15-18 February 2016. This meeting also provided an opportunity for summarizing the project output and discussing future cooperation between VICAS and IRCI.